These are the words of head coach Craig Bohl yesterday when asked about the state of the running back position this fall. His words come as no surprise as it was clear from the way reps were given to the running backs during spring ball. Hall entered fall camp as the listed starter with Evans and Overstreet listed as the co-backups. Through the practices so far that pecking order has not changed and the running back position looks to have three players with different skill sets that the coaching staff trusts. Milo Hall looks to be the Wyoming starter at running back heading into the 2017 season. In 2017 Wyoming will be moving from a bell cow at running back (with UW all-time leading rusher Brian Hill now in the NFL with the Atlanta Falcons) to a horses for courses approach featuring as many as four different running backs. Those running backs would include Milo Hall, Kellen Overstreet, Nico Evans and Mike Green. Hall, Overstreet, and Evans will probably receive the bulk of the carries with Green filling in if an injury occurs to any of the ball carriers in front of him. It will be important for Wyoming to consistently be able to run the ball in 2017, as it was the combination of Hill’s legs and Allen’s arm that helped Wyoming score a league second best 35.9 points per game last season. The Wyoming running game will have to be productive on their own terms in order to keep the balance and dynamic ground and air threat that we saw last season. 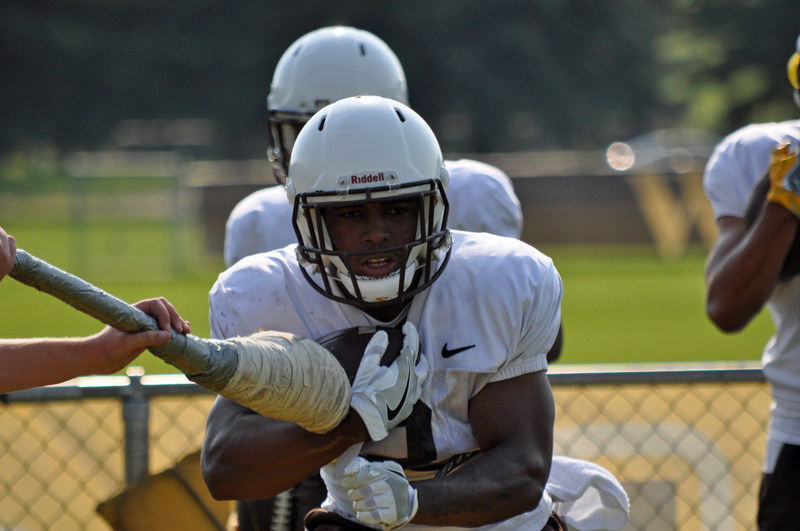 The first few games may be a little slow as the offense looks to find its feet but the history of the offense under Bohl and Vigen at Wyoming and NDSU tells us that they will stay committed to the running game. That is good news for QB Josh Allen and his new set of receiving targets as they will not have to carry the weight of Brian Hill’s departure. Wyoming may not have a running back capable of being “the man” but look for the position to be productive using a rotational approach.